QUESTION: I am most interested in your revisionist view of QTM. You debunk QTM frequently within broader topic discussions, but I’d love for you to address QTM by itself in a historical context. Perhaps starting with the Austrian darling, Henry Thornton, and his “An enquiry into the nature and effects of the paper credit of Great Britain” (1802). Separately, are you aware of the work of De Grauwe/Polan’s “Is inflation always and everywhere a monetary phenomenon” published in the Scandinavian Journal of Economics (2005)? 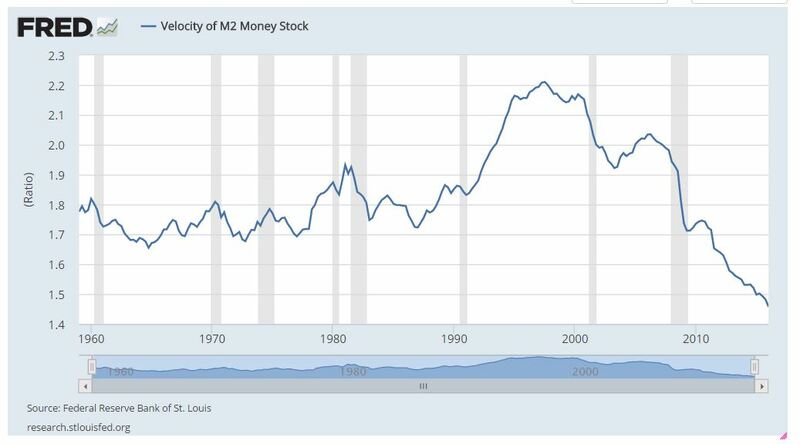 If not, the paper’s summary regarding QTM states that the correlation between money supply and prices is not proportional and predisposes a stable velocity of money. The authors find a stronger QTM correlation and inflation in countries with high inflation extant. In lower inflation countries, such as the U.S., the correlation is less proportional. When I was an economics student in the 70s we were taught two holy grails of econ: Keynesianism and Monetarism. Since you debunk both theories, I’d like to hear why. ANSWER: I go into this in great detail in the How to Trade a Vertical Market. This is not a topic for a blog post lacking the space. 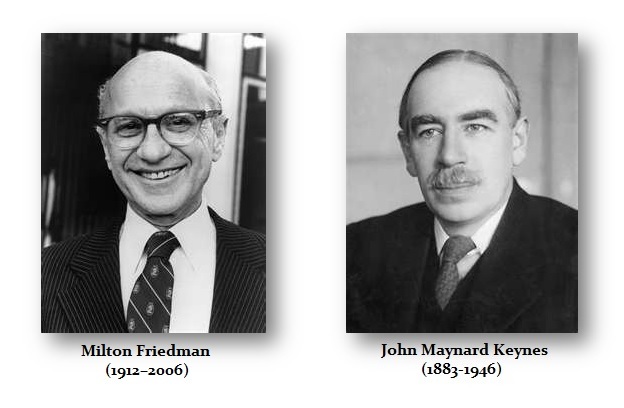 To shorten the response as much as possible, both Friedman and Keynes were based upon a system that was purely in theory. The government only took part of Keynes’ suggestion to increase spending even into a deficit to stimulate demand. He also never advocated perpetual spending indefinitely. Keynes also advocated lowering taxes to stimulate. Few Presidents have ever done that: JFK, Reagan, and now Trump is attempting it. Milton’s premise was that the Fed was doing what Germany is doing today. They were trying to support the currency to retain confidence in the bond market rather than stimulating the economy. In theory, Milton makes sense that one should expect higher inflation if the money supply were expanded instead of contracted. There is a lot of assumptions in that statement that simply do not hold up with time. It is by no means a one-dimensional economy. This is global and we are all connected. The overlooked aspect here is the size of government has drastically changed from the time Keynes lived and Milton published his book. The size of government has grown to consume nearly 40% of GDP on average. It is no longer the incidental observer. It can no longer raise and lower interest rates to control demand when the government is the lion share of that demand and competes against the private sector. Volcker raised interest rates into 1981 to fight inflation and succeeded in costing the government vast amounts of interest thereafter. Raising rates to curb demand may stop the private sector, but it has no influence upon government. You can not stop a Ponzi Scheme once you begin. In Europe, increasing the money supply has had ZERO inflationary impact and has not stimulated the economy in the least. There is no one-to-one relationship. It is far more complex and it becomes a balancing act. They have been sterilizing any impact of increasing the money supply by raising taxes. The monetary increase is only coming from buying government bonds. It is not supporting the private sector but instead, it has subsidized the government sector. Even our studies of interest rates have revealed the same outcome. There is no one-to-one relationship between raising interest rates and stopping inflation or asset inflation. 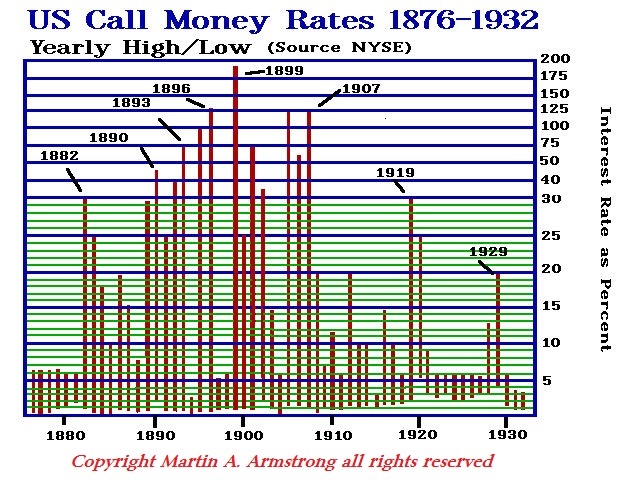 The stock market has NEVER peaked with the same level of interest rates twice in history. It boils down to the simple realization that people respond to the NET affect and not to theory. If you believed t6he stock market will double in one year, you will pay 20% interest. If you do not think the stock market will rally 5%, you will not pay 3%. I have identified inflation unfolds from three primary sources. First, there can be asset inflation that is not a general inflation experience through the entire economy. Right down we see the Dow Jones has risen from the 6000 level in 2009 to 23000. That has not been matched by inflation is prices or wages. Then there is the currency inflation. The decline in a currency will result in a corresponding rise in prices of imported goods. 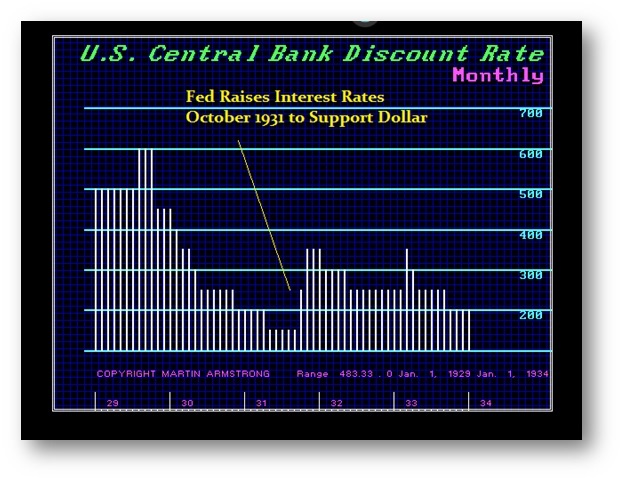 This was what we saw with OPEC during the 1970s and the rise in the dollar from 1980 into 1985 all-time high correspondingly produce deflation. Then we have demand inflation. This is taking place right now in butter in Europe as prices are up 300% because of shortages. 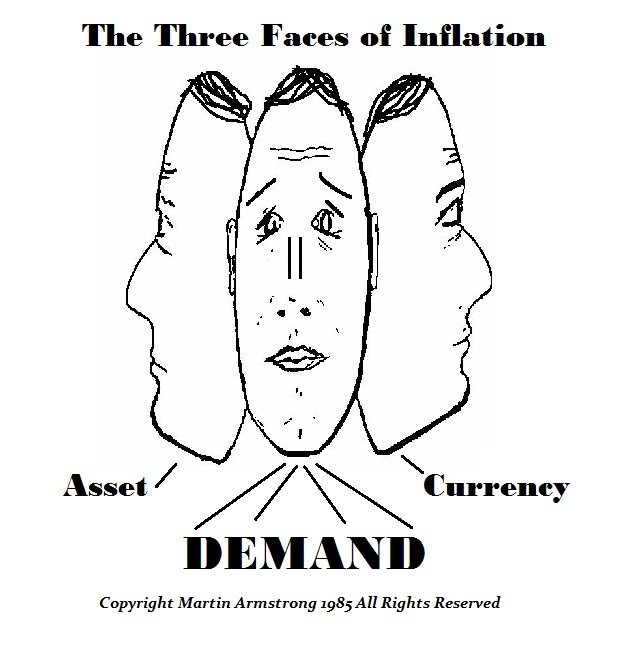 None of these three types of inflation are created by monetary policy and they cannot be altered by trying to artificially control demand by government. The butter rally in Europe is because they maintain high quotas until 2015 when they were reformed since it produced a glut. When removed, prices fell and production collapsed. Not there is a shortage and prices have soared. This is made worse by government interference. We can see demand rise in anything caused by a shortage in that product and again this is not monetary driven. It comes down to a complex formula driven by CONFIDENCE. People are hoarding cash even though the quantity has increased in theory so the velocity of money has been declining. The higher the tax rate, the lower the economic growth as people hoard money (save) and that produces the decline in the velocity of money. 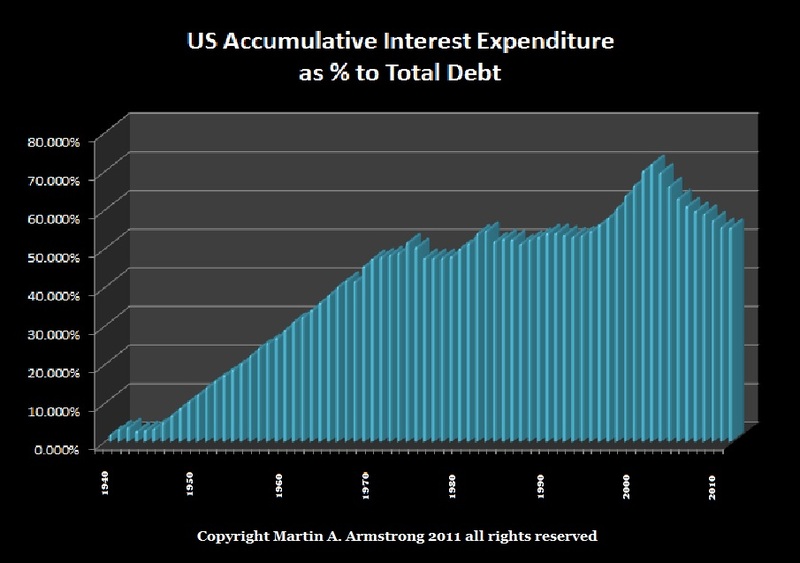 Lowering interest rates DOES NOTHING to stimulate the economy when the banks do not lend anyway and would prefer to park money at the Fed in excess reserves which are sterilizing and the idea of quantitative easing. If the QTM theory worked, then the central banks’ stimulation QE should have worked. It failed. There is a lot more to this than a simple one-to-one relationship. In the How to Trade a Vertical Market, I have gone into ancient examples as well. 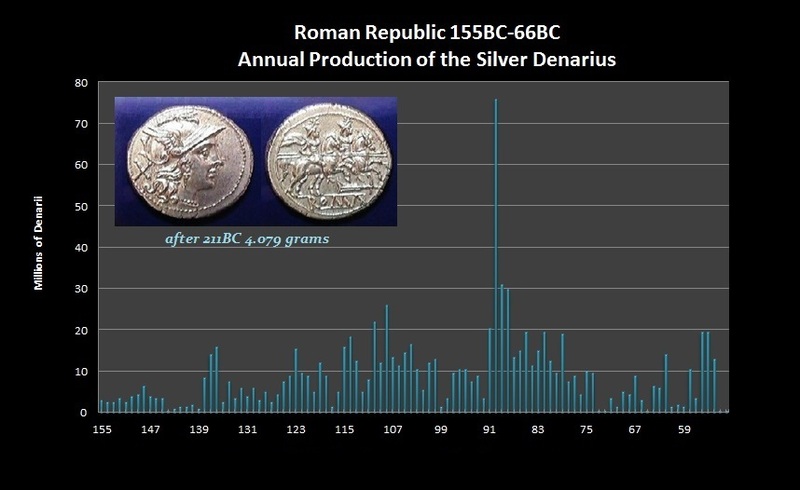 I have shown that the QTM did not hold up even in ancient times when there was no central bank. It is far more complex a subject for just a simple blog post. « Government Shutdowns – Just Politics?